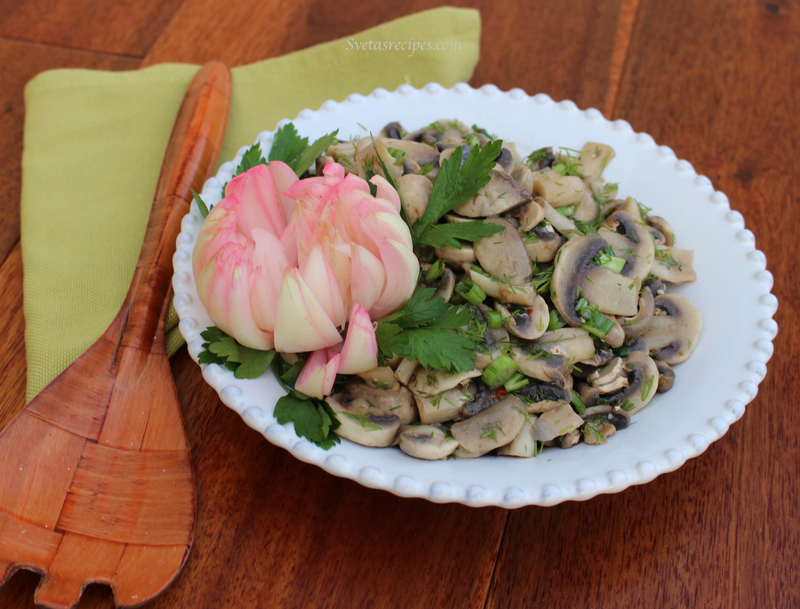 Very easy and well liked mushroom salad among Slavic cultures. It goes very well with mashed potatoes, rice, or pasta. 1)Wash all the veggies well and dry. 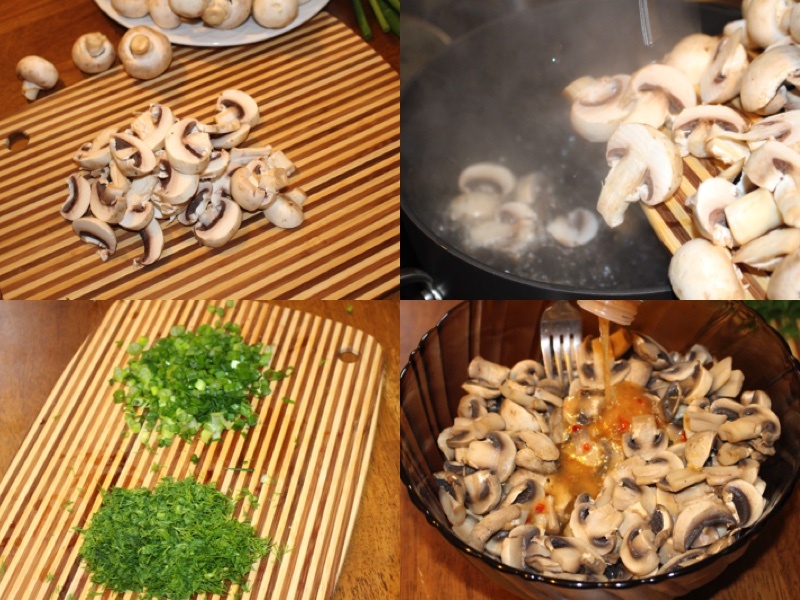 3) Add all the mushrooms into boiling water in the pot and let them cook in there for 5 minutes. Drain the pot and let the mushrooms cool down. 4) Chop the green onions and dill into very small pieces. 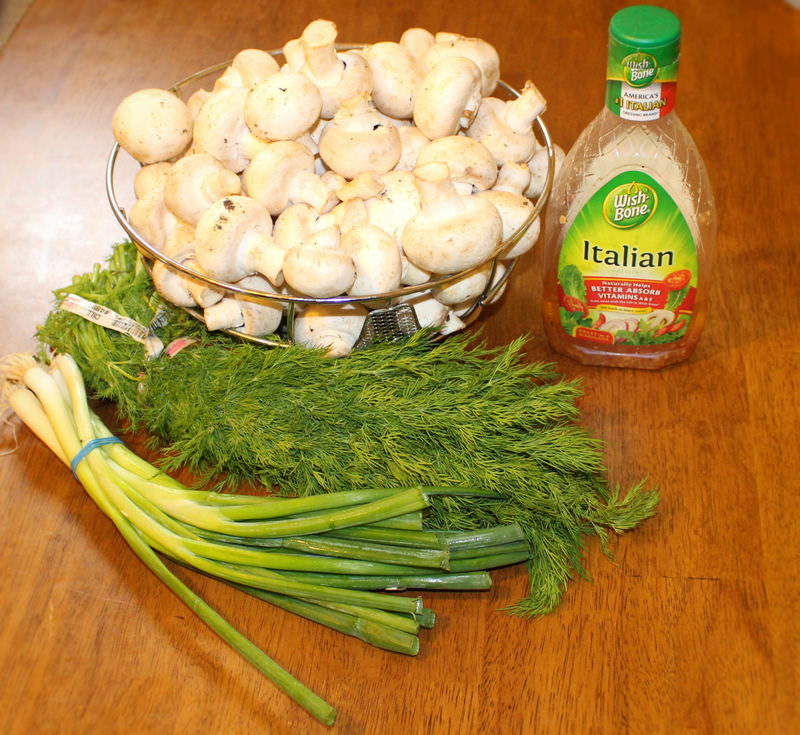 5) After the mushrooms are done cooling down put them into a medium size bowl and add Italian dressing. 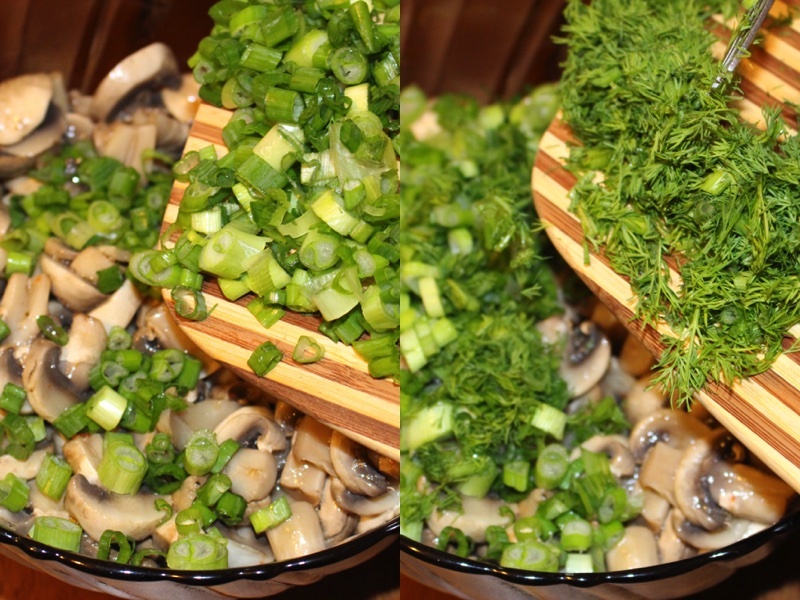 6) Add the green onion and dill into the medium size bowl and stir well. 7) Add salt and black pepper if you like it, i only added a tiny bit on top . 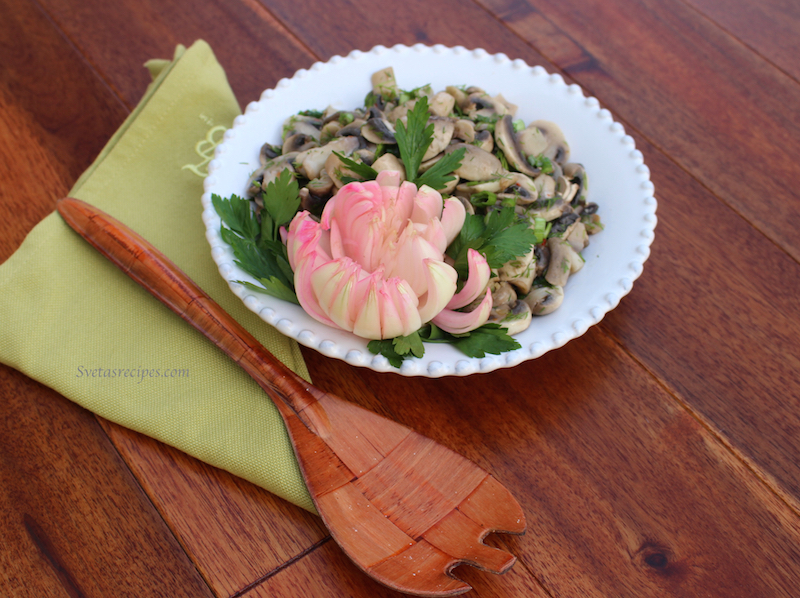 Very easy and well liked mushroom salad among Slavic cultures. It goes very well with mashed potatoes. Add all the mushrooms into boiling water in the pot and let them cook in there for 5 minutes. Drain the pot and let the mushrooms cool down. Chop the green onions and dill into very small pieces. After the mushrooms are done cooling down put them into a medium size bowl and add Italian dressing. Add the green onion and dill into the medium size bowl and stir well.